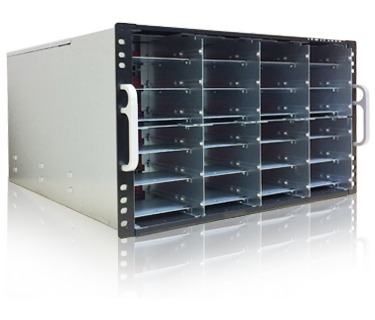 WipeDrive provides multiple solutions for data center sanitization. 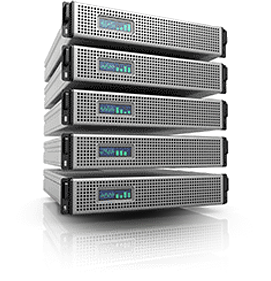 WipeDrive can directly disassemble RAID configurations to erase individual drives. If you have loose drives or want to pull them for wiping, our appliance can handle any type of drive interface and make the job fast and efficient. WipeDrive for Data Centers pairs an ideal hardware solution that supports all drive types, sizes, and interfaces with an ideal software solution that is the most highly certified in the industry. WhiteCanyon's appliance allows any type of hard drive (2.5" or 3.5", all interfaces) to be connected without a caddy or tray. WhiteCanyon's appliance includes a host bus adapter that can reliably create the proper hardware connections for all types of drives, including drives from RAIDs. This is important because wiping software alone cannot access HPAs, DCOs, remapped sectors, or drive space used for wear leveling. All of the components are designed to last for thousands of wipes. The back plane connector can also be replaced, allowing thousands more wipes to be performed without replacing the appliance. WhiteCanyon's appliance comes with a custom build of WipeDrive that includes a UI for distinguishing between and managing the drives located in each bay. Data centers have a number of specific requirements that are unique for their environment. Often they have a mix of many hardware vendors and types, each with their own drive profiles, connectors, drivers, etc. WipeDrive for Data Centers is equipped to deal with these requirements and challenges using best-in-class hardware and the highest-certified wiping software. WipeDrive for Data Centers even includes 1,000 use licenses by default so you can get up to speed quickly.